The Volta Cohort program awarded a total of $150,000 to six companies on Wednesday night, handing out an extra $25,000 bundle due to the strength of the pitches. In its third pitching event, the Volta Cohort advertised that it would invest as much as $25,000 to as many as five companies, but it added a bonus investment to a sixth company at the event. Volta Labs, the Halifax startup house, organizes the event to help out early-stage companies that need their first equity investment to help them reach the market. Aurea Technologies (Halifax) – Aurea helps solve the climate change crisis by creating revolutionary wind turbines for consumer and commercial markets. The company’s product Shine is a portable turbine for campers, backpackers or cottagers that can charge devices in remote locations. The company opened pre-orders Tuesday night and had 25 purchases as of Wednesday night. Byos Cybersecurity (Halifax) – Byos is developing a product to monitor and protect companies’ critical resources from data leaks, security breaches, fraud and infections. It features a small piece of hardware that can help to protect a company’s data, even if employees are accessing the system from a remote location. iLokol Technologies (Halifax) – iLokol is developing a multi-language platform that helps international students and newcomers find the right places to shop, dine and play. Users can check for nearby businesses, find products or services and place orders from their mobile devices. The company so far has more than 90 clients and more than 100 daily transactions. Milk Moovement (St John's) – Milk Moovement is a dairy industry ERP platform that brings outdated systems to new life and provides significant data improvement for all stakeholders in the dairy industry. Milk Moovement is currently being used across the province of Newfoundland and Labrador and preparing for expansion across all Atlantic provinces. It is planning a cross country expansion in 2020. 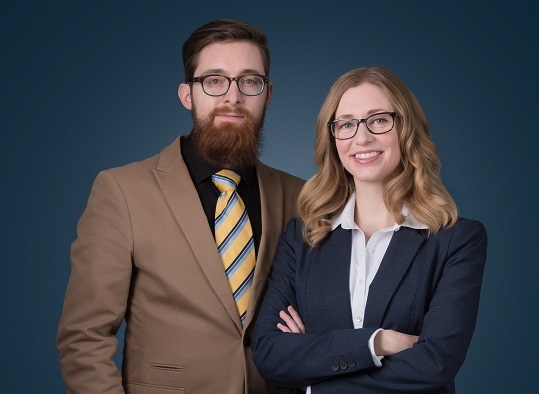 Neothermal Energy Storage Inc. (Bridgewater, NS) – Neothermal is tackling high home energy costs with an innovative, smart home compatible, electric thermal storage heater for residential supplemental space and water heating. The company said it would use the funding to reduce production costs and enhance its sales effort. Tranquility Online (Halifax) – Tranquility offers an online, Software-as-a-Service solution that uses the gold standard therapy approach for anxiety: Cognitive Behavioural Therapy, or CBT. Tranquility’s interactive CBT software was built by experts and can also be accompanied by coaching from real people, who will be trained with an internally developed training protocol. The company recently launched a $1400-a-month pilot project with Volta-resident entrepreneurs. Disclosure: Volta is a client of Entrevestor.